Everton and Arsenal start their Europa League campaigns on Thursday night, and for the latter, it's certainly going to be a shock to the system. The Gunners last failed to qualify for the Champions League ahead of the 1996/97 season, the campaign when Arsene Wenger first took charge. The Frenchman has insisted he will be taking the competition seriously, though it will a valuable opportunity to potentially give players like Jack Wilshere a run out. Arsenal are also weakened by the absence of Laurent Koscielny, who is suspended because of the red card he received against Bayern Munich. Wenger's men are still clear favourites at 30/100 for the game against FC Koln, with the Bundesliga outfit having suffered three defeats on the bounce. Arsenal aren't exactly in stellar form themselves, losing two out of their opening four in the Premier League, but the 3-0 win against Bournemouth should have given them a lift. If Danny Welbeck is picked, he's at evens to score in 90 minutes. Wenger has put a lot of faith in him so far this season, so it will be interesting to see who starts up front from a choice of the England striker, Olivier Giroud, and Alexandre Lacazette. Everton, meanwhile, have set out on a mission to close the gap on England's top six. Making their mark on Europe would be one way of proving they are ready to become an elite club, but judging by their 3-0 defeat to Spurs, the Toffees still have a long way to go. Ronald Koeman's side travel to Atalanta, who have had a mixed start to the season, largely because they've had to play Roma and Napoli already. The Serie A side are no pushovers, but Everton should get the better of them and are strangely priced as underdogs at 11/5. 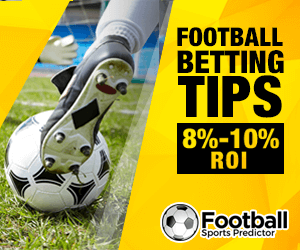 Wayne Rooney to score and Everton to win is at 5/1, and for all his problems off the field and his underwhelming performance against Tottenham, the former Manchester United man has generally had a decent start to the season. Click here or on the banner below for more information.